I’ve been wanting to do something like this for many years. The Tournament of Classical Music. The NCAA basketball tournament is one of my favorite 3 weeks in sports and it’s coming soon. Sixty-four teams (not including the play-in games) compete for the national championship. There is a bracket which works its way down to a final four. There are four regions, each containing 16 teams, seeded 1-16. The way the bracket system works is simple; in the first round the 1 seed plays the 16, the 2 plays 15, and so on. The winners of each region play each other in the final four, followed by the championship. One of the things that makes the NCAA tournament so exciting for the fans is this bracket system. Every year, I (along with millions of others) fill out my own bracket with my picks to win. Of course, I always pick Kansas to win since I did a year of graduate work there. Aside from that, it is a lot of fun trying to predict winners of all of these games. This format, where you start with 64 teams, is probably the best possible way to determine a winner. The first day of the NCAA tournament causes losses in the billions in terms of man-hours lost due to following the games at companies all over the globe. Of course, the betting (money) involved is stunning. A couple of years ago, Warren Buffett and Quicken Loans offered a $1 billion (with a B) prize for a perfect bracket. It has never been done. The odds of filling out a perfect bracket are, wait for it, roughly 1 in 9,223,372,036,854,775,808 (that’s 9.2 quintillion). Yikes. A few years ago, I thought about making up my own tournament. I have heard of various entertainment outlets doing their own “Tournament of….” Usually it is something funny like “worst news foul-ups” or “best hair” or something. I’ve always wanted to do a tournament of classical music, primarily symphonies. The problem is, choosing 64 great symphonic works, seeding them, then constructing the brackets is kind of a big project. Well, I finally did it, with a few minor adjustments. My tournament will include both symphonic works and opera. No concertos, no chamber music, and no choral music (unless with orchestra). 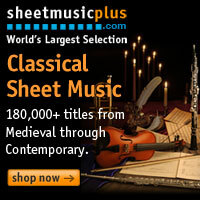 I’ve put together 4 “regions” or “brackets,” each with 16 great pieces of classical music. Each bracket is named for one of the greatest composers of all time, or the Mt. Rushmore of Composers. I’ve seeded the works as best as I can without trying to envision the match-ups. Some of the results are, needless to say, interesting. Rather than name my regions or brackets on geographic areas, mine are named after (IMO) the four greatest composers. We have the Beethoven Bracket, the Bach Bracket, the Mozart Bracket, and the Stravinsky Bracket. Obviously, the number 1 seed in each bracket is by the composer for which is is named. This was not easy. I needed to come up with a way to get 64 teams (the play-ins were added later) into four brackets, and attempt to seed them within each bracket. Needless to say, this project should have been undertaken by someone with inordinately more intelligence than I. Since no one of that classification was available, I put my head down and started typing the best classical works I could come up with. I started with the number one seeds and then just started listing great works underneath them. That took about an hour. The next day, after I had an opportunity to be kept awake at night thinking about this, I swapped out some of the weaker entries. My first rule was, no bracket was to have more than one work by any one composer. Not as easy as it sounds. Any of the four 1-seeds could have had multiple entries into this tournament. Next, I attempted to be inclusive of music of various times. I couldn’t just have 64 great romantic pieces. I needed to have 20th century music included as well. Suffice to say, there is one 12-tone work in there, as well as a few barely-tonal pieces. After that, I tried to make sure opera was as well represented as symphonic literature. There are also quite a few symphonic works with chorus in addition to the operatic works making the selection process even more difficult. Obviously there will be controversy over the selections as well as what great pieces were left out. Everyone has a favorite piece. Additionally, everyone has pieces they hate like root canal. Honestly, I do not love every work in this tournament. If I did, the selection process would not have been honest. In selecting the works, I was going for highest quality rather than most popular. As such, several popular classical pieces were left out. Here are a few. I could go on and on, and there are certainly some great works I am overlooking. Mendelssohn and Schoenberg probably get the least love in this tournament. Both suffer from a lack of great orchestral music. Both would be well-represented if chamber music were included here, as would Elgar and Rachmaninoff if I had included concertos. Well, here’s what happens next. In a week or two, I will post the winners of the play-in games as well as the complete bracket. That will be enough to think about until the beginning of March when NCAA basketball really gets going. I am planning on using reader-input to decide the final four match-ups. That is, if I have enough participation. The rest of the match-ups will be my own choosing, which is sure to sit well with everybody. Just kidding. The system ain’t perfect, but it’s the first time I’m trying this. Around about the time the NCAA tournament is finishing up, I will post the overall winner. 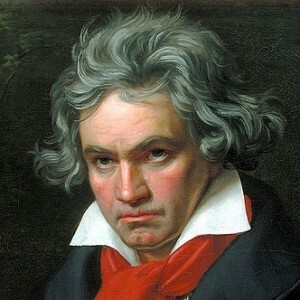 Honestly, the prohibitive favorite at this point is Beethoven’s 9th, but who knows? One of the great things about the NCAA tournament is the huge amount of upsets, especially early in the tournament. Can anyone knock off The Rite of Spring or B-Minor Mass? Stay tuned intrepid readers!